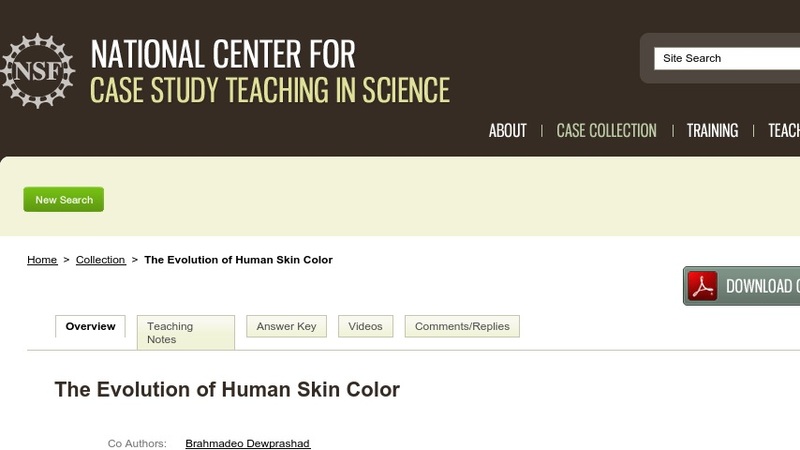 In this case study, the evolution of human skin color is used as a means of exploring the process of evolution by natural selection. Through the progressive disclosure of data, students learn about are the factors that may have exerted pressure on the evolution of this trait. Students evaluate hypotheses, predict their outcomes, evaluate them in light of new information, and reformulate them to take unexplained data into consideration. The case has been used in a first-year introductory biology course for non-majors.